Plus Size Kitten: F&N Fun Flavors To Help Spread The Cheer! 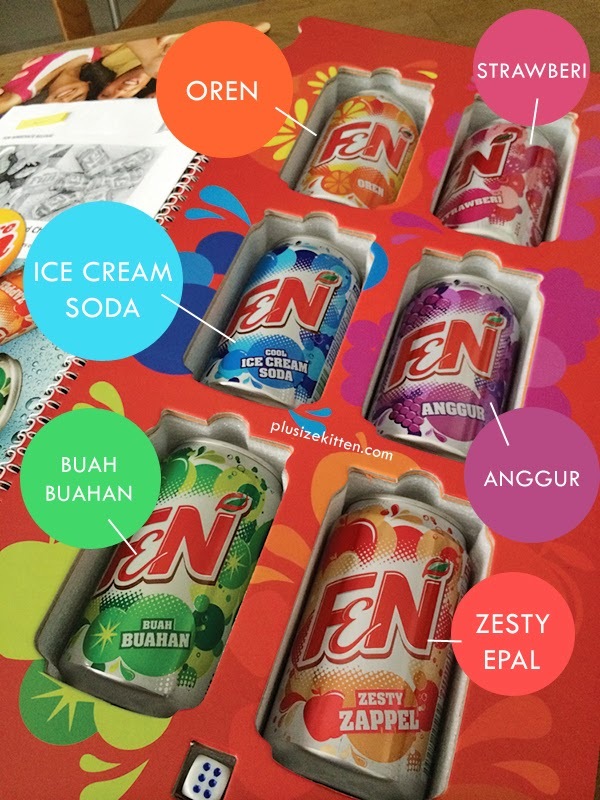 the F&N Fun Box arrives! 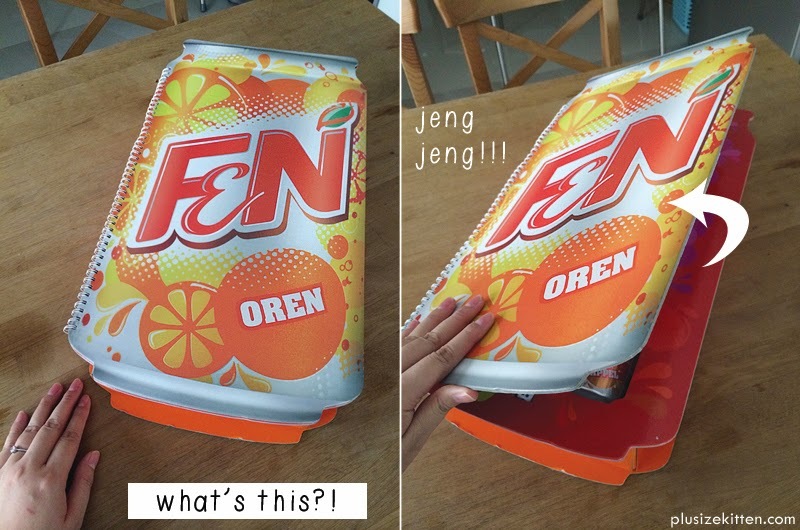 Anyway, the giant F&N Oren can box is actually called the F&N Fun Box and it comes with updates about the F&N Fun Flavours FUN-A-THON Contest for me to share to my readers. 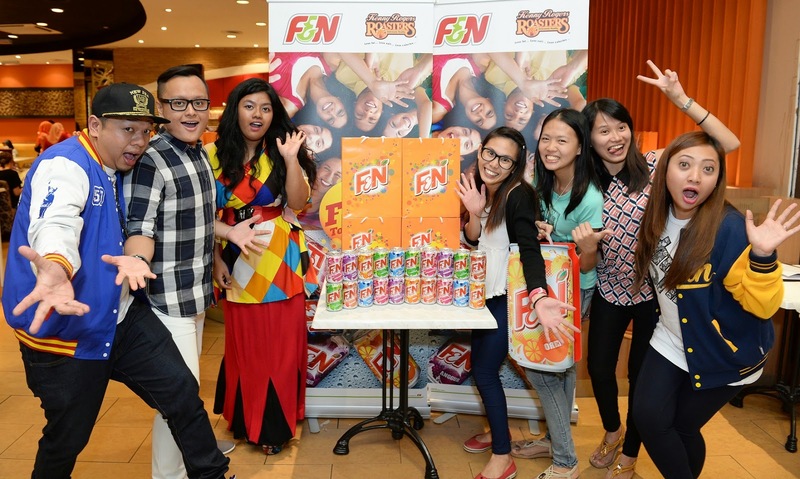 The contest was a dream come true for the youths where 1,000 hours of fun was given away to F&N Fun Flavours’ fans and their friends. The hours of fun translated to activities such as private beach access, bbq parties, holiday vouchers, shopping vouchers, theme park tickets, movie tickets and many more. On top of this, 5 youths would be grand prize winners to walk away with RM1,000 cash prize each and dine with Hot FM radio announcers. 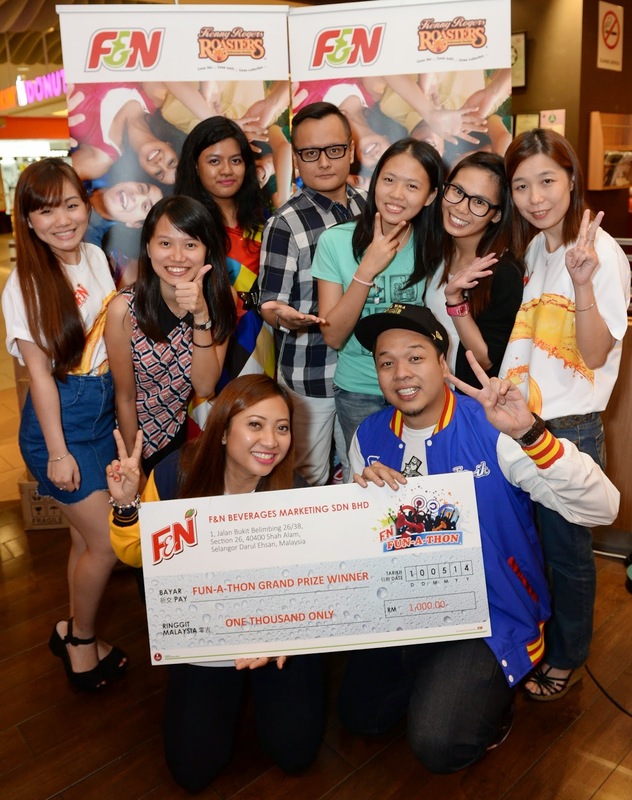 5 grand prize winners walked away with RM1,000 cash each! The winner of the grand prize, Hilmi Ahmad Basir, was surprised and extremely happy when he found out about his win. “I joined the contest after I learnt about it from my classmates. RM1,000 is a huge sum of money, and I’m going to save most of it after treating my friends to a good makan session. Suraya and Ikhwan are so friendly and we felt we “clicked” immediately with them. I also learned from them that you can be serious about work and have fun at the same time,” enthused the winner.